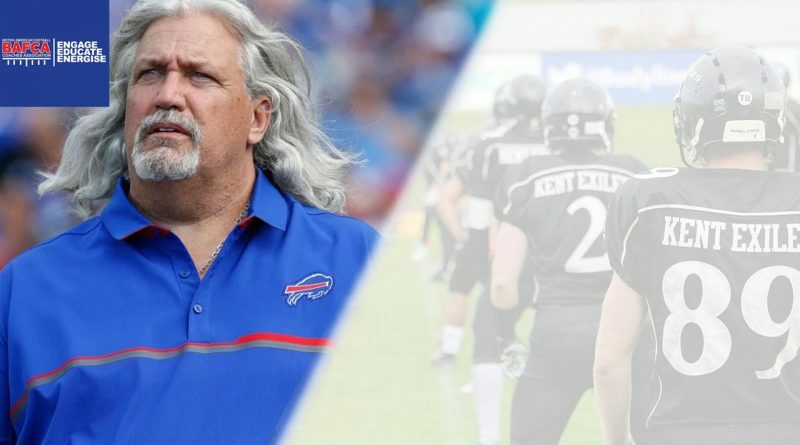 The Kent Exiles and the British American Football Coaches Association have teamed up to host a coaching clinic with none other than former NFL Coach, Two-Time Super Bowl Winner, Rob Ryan! “This is an amazing opportunity for British American Football Coaches to spend an evening learning from a two-time Super Bowl Winning NFL Coach. If you’re serious about coaching then this is a night you won’t want to miss. It’s one of the best learning opportunities around and part of your BAFCA CPD. The Clinic will take place on Tuesday 6 November, 1930-2130 at the Kent Exiles’ home of The Beaverwood, Chislehurst, BR7 6HF. The goal being everyone leaves an expert on situational football and knows how to teach it. Attending the event will contribute 2 hours towards your BAFCA CPD. There is a nominal charge of £10 per attendee (plus booking fee) to cover costs, and with space for only around 60 coaches, it’s advised you don’t delay in booking your place at the clinic! You will be required to provide personal details, including name and club affiliation, to log your BAFCA learning. Book your place at the Clinic on the Eventbrite page or contact Martin.Jefkins@kentexiles.co.uk if you have any questions regarding the event.